1. Login to the system and access the customers menu. Press the More button. 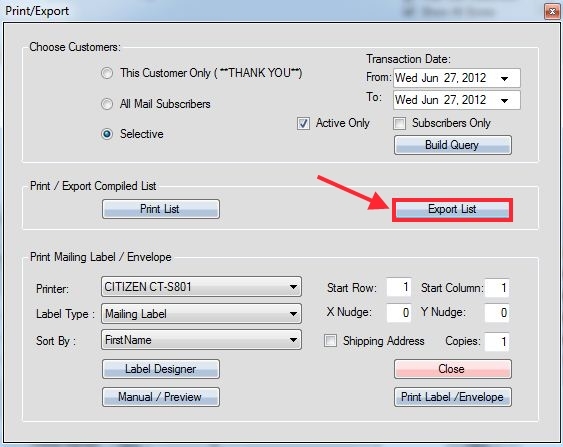 A menu will pop up at the button location, select Print / Export from the list of options. 2. Upon selecting this button, a Print/Export window will be displayed. 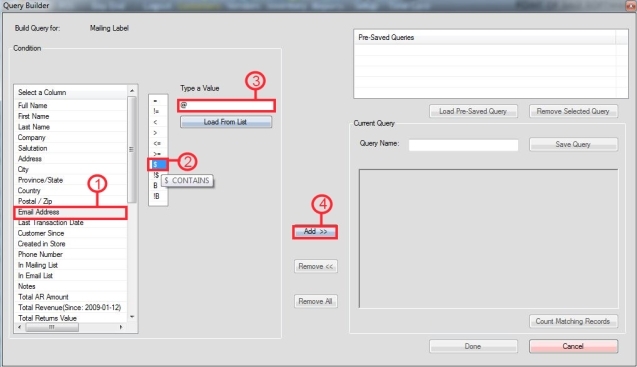 Select Build Query button. Step 2: Select the $ symbol, it functions as “CONTAINS”. 5. At the bottom of the save window, select CSV Files (Comma Delimited) as the file type. 6. 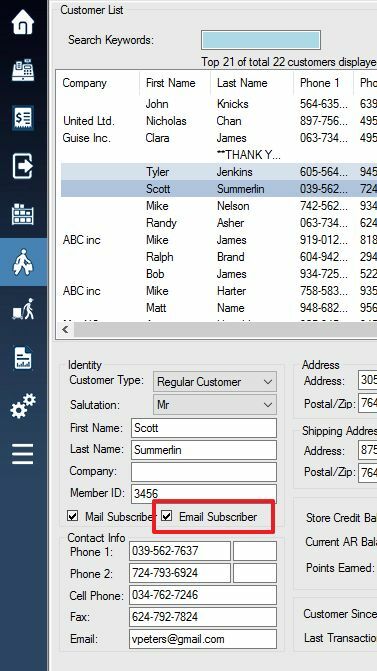 An alternative method of tracking customer email is to access the customer menu, select your particular desired customer, and then select the Email Subscriber check box. 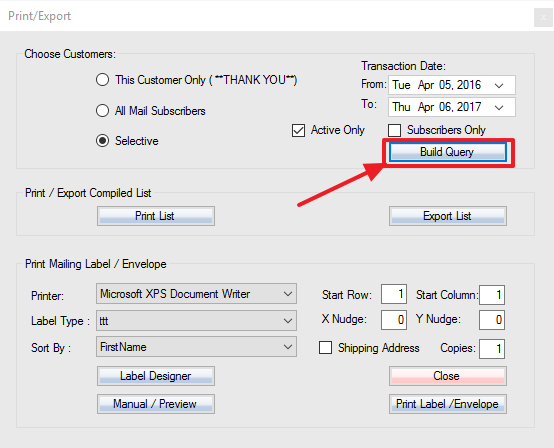 When exporting, select “In Email List” in the query.